As a mom with a newborn and a 2 1/2 year old, life is busy! I try hard to get everything done that I want to but some days, it just doesn't happen. The baby is crying, the toddler is getting into all kinds of trouble all over the house and nothing gets done. Times like this are hard for me to accept because I have a type-A personality and thrive on getting things crossed off of my to-do list. Right now, I am home on maternity leave but I pack Troy's lunch still. Right after dinner, if we have leftovers, I will box them up for Troy to eat at work the next day for lunch. Otherwise, he has stuff like sandwiches or soup. For Adalyn and I, sometimes I prep some of our lunch or snacks before we are ready to eat them because it saves time when we are ready for them. For example, I like prepping snack plate lunches for us because they are quick and easy to eat one handed with a baby. Running around together on my parent's farm! I don't always get my exercise in before the kids get up so we make exercise a family activity which saves time because it kills two birds with one stone. Adalyn loves walking and running so we often do this. Oliver rides along happily in the stroller or baby carrier. Prepped these kebab ingredients one day during nap time. I huge perk of being home right now is being able to prep dinner earlier. Yesterday, I made a Mexican turkey meatloaf (so good), roasted potatoes and roasted bell peppers in the morning and then when it was dinnertime, I just had to throw it in the oven. 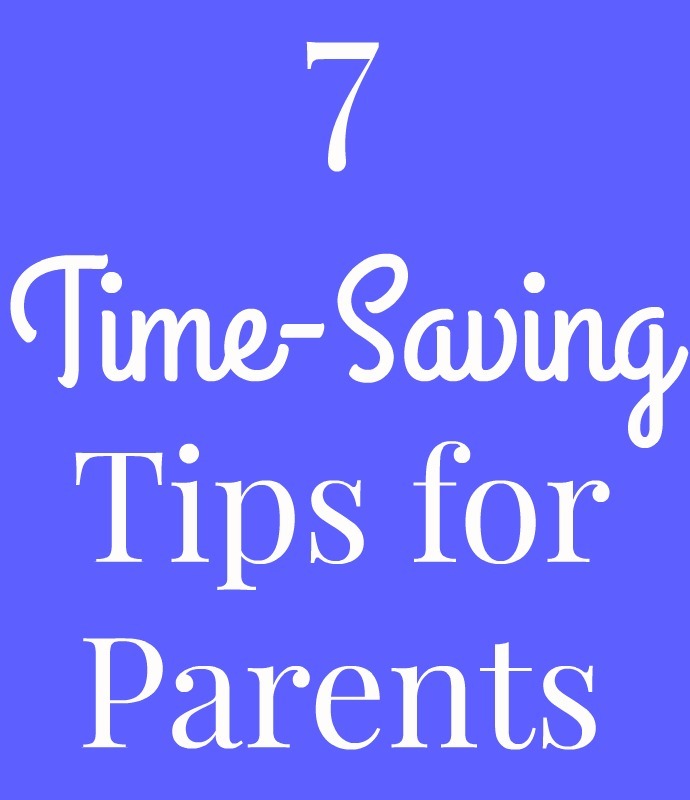 This is super helpful because the late afternoon is often a busy time for us with Troy coming home from work, Oliver being fussy and Adalyn wanting to eat every snack in sight haha. I hate going to the pharmacy to pickup prescriptions because it can be time consuming. Drive there, find a place to park (or wait in the drive through), go inside, wait in line, etc. I recently learned about Phil and how you can order your prescription right to your door and got intrigued. I only take one medication right now and had an easy time transferring it to Phil. So far, so good! I am happy with this switch that I made. You just have to put in your information and they will call your pharmacy and get your order transferred for you which is nice and simple. They partner with top-rated, locally owned pharmacies that are known for their customer service to get your medications and deliver it to your home. They deal with doctors and insurance so that you will not have to. My copay is the same with Phil as it is with any other pharmacy and most insurance plans are accepted. Delivery is free so it will not cost you any extra than going to the pharmacy but will save you time. 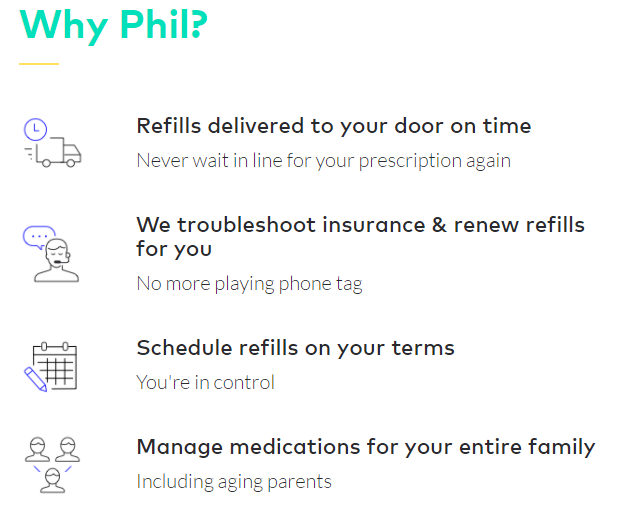 Phil offers the convenience of door delivery and management (troubleshooting insurance, chasing after doctors and pharmacies). When I get up when the kids do, my day feels so much less productive. I feel my happiest when I get a little bit of "me time" in by walking on the treadmill or outside before the kids get up. I also love when I get a little bit of work time in because it starts the day with being productive. The morning is also my favorite time of day and when I work my best so getting up about 5:30 AM works really well for me when I can get up then. The main thing that we always need more of is fresh fruits and vegetables so I have been ordering mine online and this is such a huge time saver. I don't have to load the kids up in the car, pack their stuff, drive to a store, shop, etc. Having our produce delivered right to our door has been so helpful to me during this busy season of our lives. I always have a to-do list. 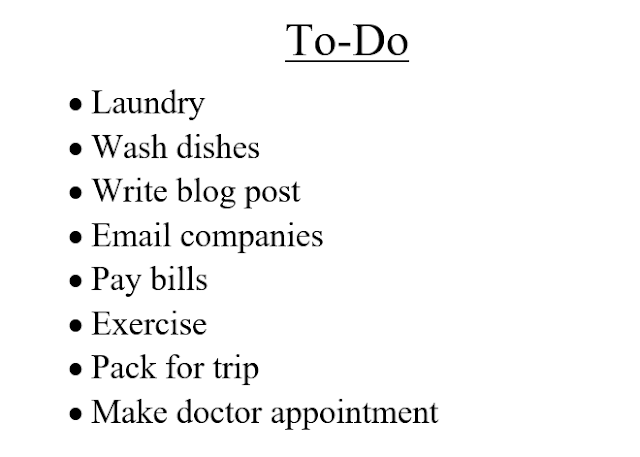 It helps me not forget to do things (let's just say that pregnancy brain and the newborn fog have been affecting me for a bit now...) and helps me prioritize what I need to get done. Sometimes, I even put simple things on there like give the baby a bath or wash the dishes. I love being able to cross things off and I find it helpful to make a list of must-do tasks as well as things you want to get done but not necessarily right then. By prioritizing, it helps me to stay on task and ultimately, save time.